Iron Sharpens Iron (Pastor Edition) is coming this April! Iron Sharpens Iron (Pastor Edition) is coming THIS April!! “As iron sharpens iron, so one man sharpens another.” There is mutual benefit in the rubbing of two iron blades together; the edges become sharper, making the knives more efficient in their task. While we hit workouts at our churches throughout the year, April is the time to be part of something larger and participate with other Pastors in the Queen City in the FREE Iron Sharpens Iron FiTness event. 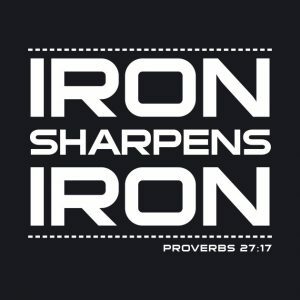 WHAT IS THE PURPOSE OF IRON SHARPENS IRON? Iron Sharpens Iron is an opportunity for any Pastor athlete at any level to participate in a friendly, citywide competition. Adding a competition component to individual training improves focus and increases the likelihood that higher goals will be achieved than without competition. It also introduces a greater level of commitment that translates into more meaningful training while also reinforcing camaraderie between and among the church leadership team and leaders across the city. The pressure that usually derives from healthy competition is often the stimulus that drives many people to achieve important firsts. It should be noted that Iron Sharpens Iron also serves as a catalyst for generating baseline performance data for your workouts, which in turn, may serve as a basis for setting realistic goals for the following year. THAT SOUNDS GREAT, BUT WHY SIGN UP? WHAT’S THE POINT? It’s much easier to stay motivated if you have a goal and are committed to tracking your progress. All it takes is a little competition to really bring out the best in you. It’s easy to lose intensity in your workouts if you are never pushed past what you think you can do. It can also be a harsh reality check if you’ve been coasting in class this past year or not really sticking to standards for the sake of speed. Perhaps your takeaway will be that you need to count your reps properly, work towards virtuosity in your movements, or at the very least, achieve full range of motion on your reps! Finally, consider that Iron Sharpens Iron is simply a snapshot of your fitness at one point in time. It can be the catalyst to get you back on track at the gym. Having said all this, I really encourage you to represent your church by participating in what we expect to be a significant citywide event. Any and every church in the Queen City can take part in Iron Sharpens Iron, and we don’t want you all to miss out on the fun! Lastly, don’t worry about signing up for Rx’d or Scaled workouts. 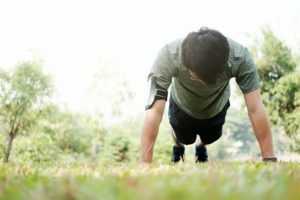 Everyone has the option of performing a scaled version of the workout in any given week. If you are a complete beginner, this is great news! It ensures that the experience will be even more inclusive.